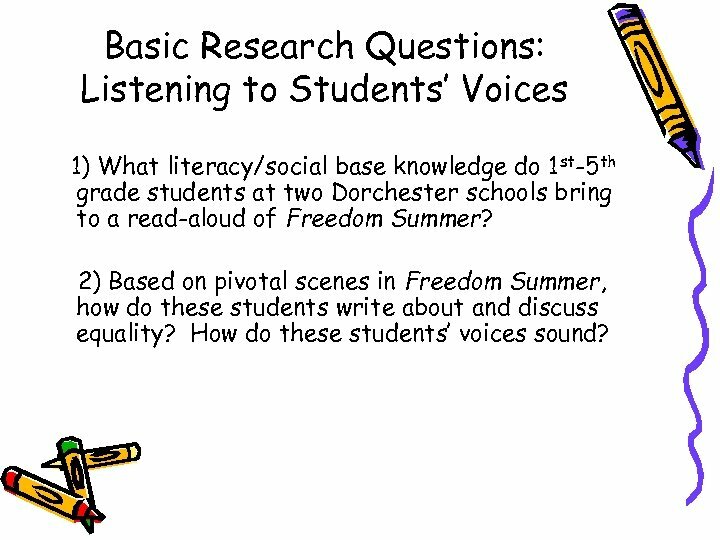 Basic Research Questions: Listening to Students’ Voices 1) What literacy/social base knowledge do 1 st-5 th grade students at two Dorchester schools bring to a read-aloud of Freedom Summer? 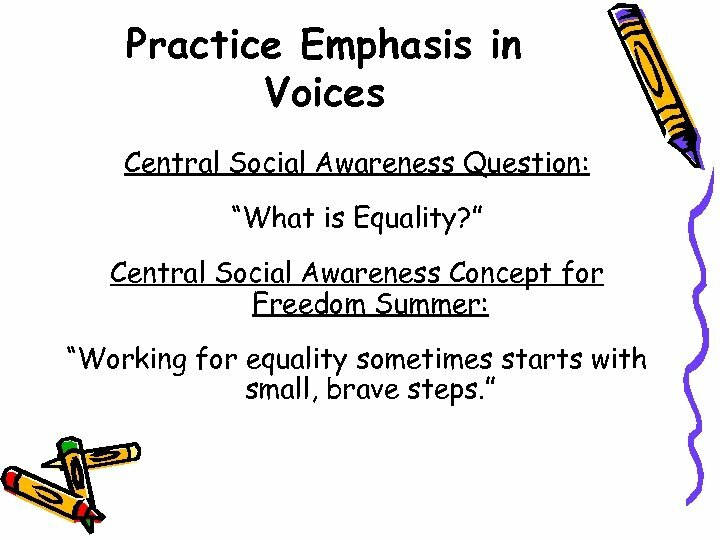 2) Based on pivotal scenes in Freedom Summer, how do these students write about and discuss equality? 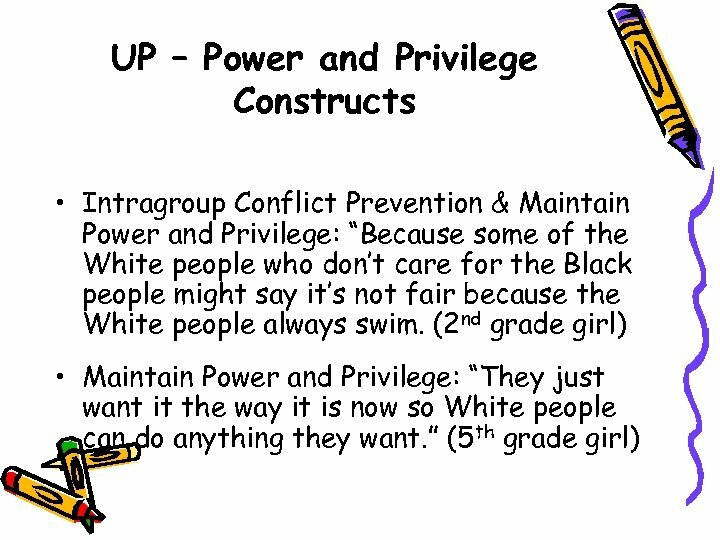 How do these students’ voices sound? 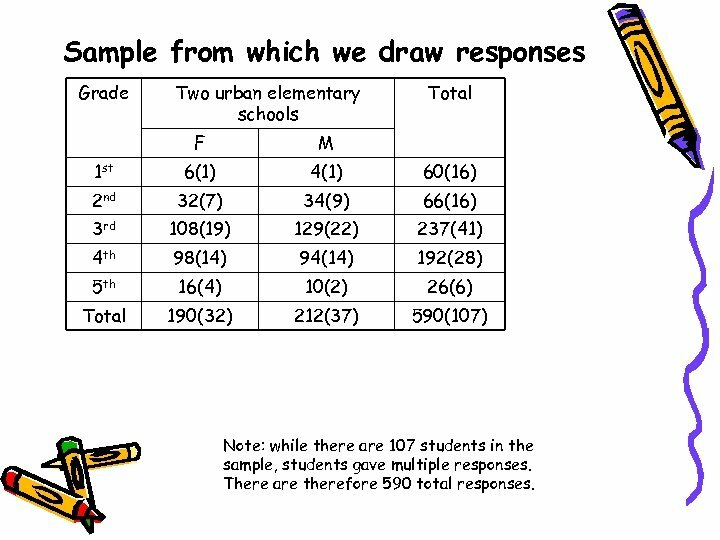 Sample from which we draw responses Grade Two urban elementary schools Total F M 1 st 6(1) 4(1) 60(16) 2 nd 32(7) 34(9) 66(16) 3 rd 108(19) 129(22) 237(41) 4 th 98(14) 94(14) 192(28) 5 th 16(4) 10(2) 26(6) Total 190(32) 212(37) 590(107) Note: while there are 107 students in the sample, students gave multiple responses. 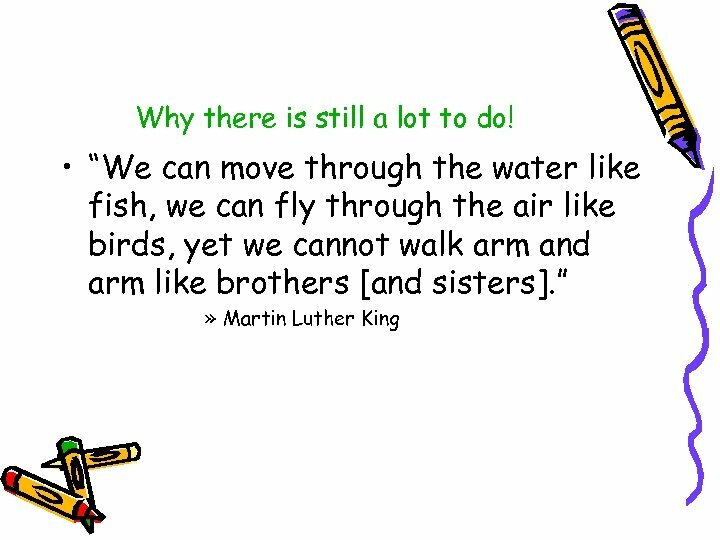 There are therefore 590 total responses. 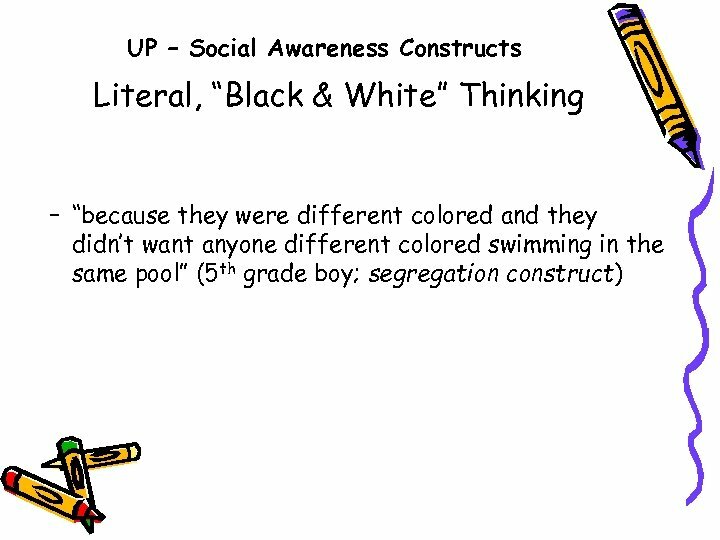 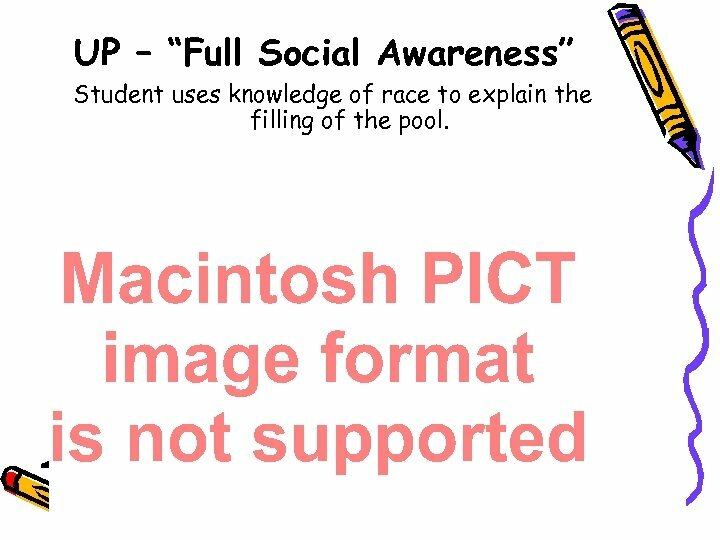 UP – “Full Social Awareness” Student uses knowledge of race to explain the filling of the pool. 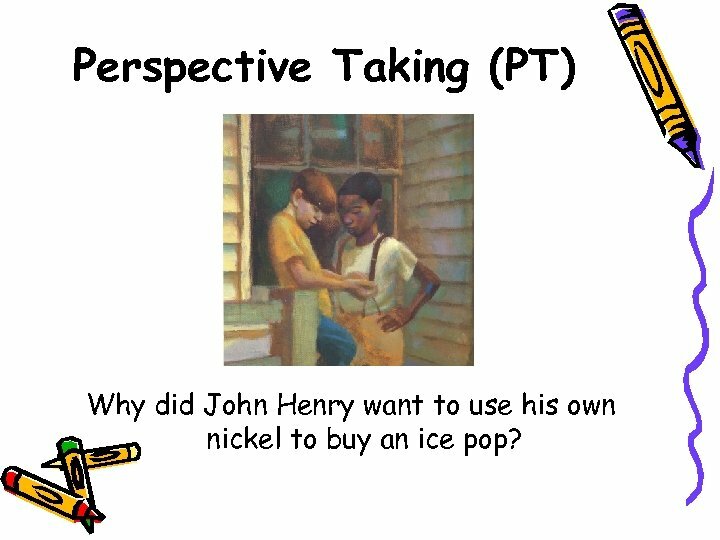 Perspective Taking (PT) Why did John Henry want to use his own nickel to buy an ice pop? 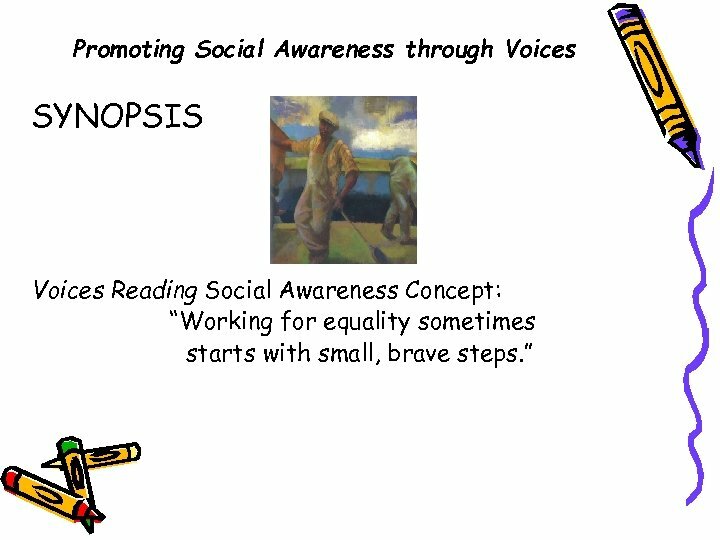 Research Goals • Research protocols designed to elicit students’ own knowledge without the intervention of programs like Voices. 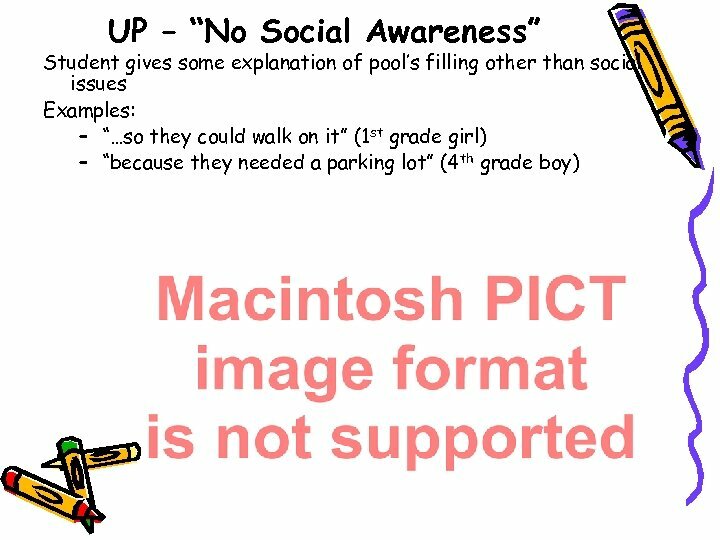 • Non-leading questions – Why was the pool filled with tar? 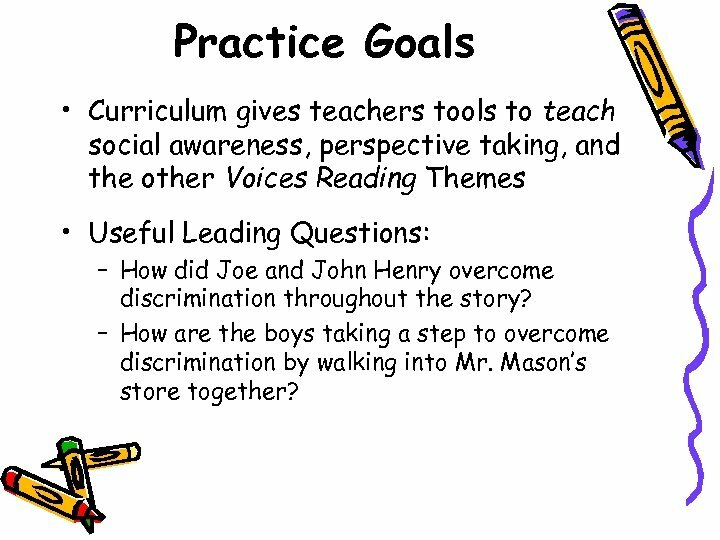 Practice Goals • Curriculum gives teachers tools to teach social awareness, perspective taking, and the other Voices Reading Themes • Useful Leading Questions: – How did Joe and John Henry overcome discrimination throughout the story? 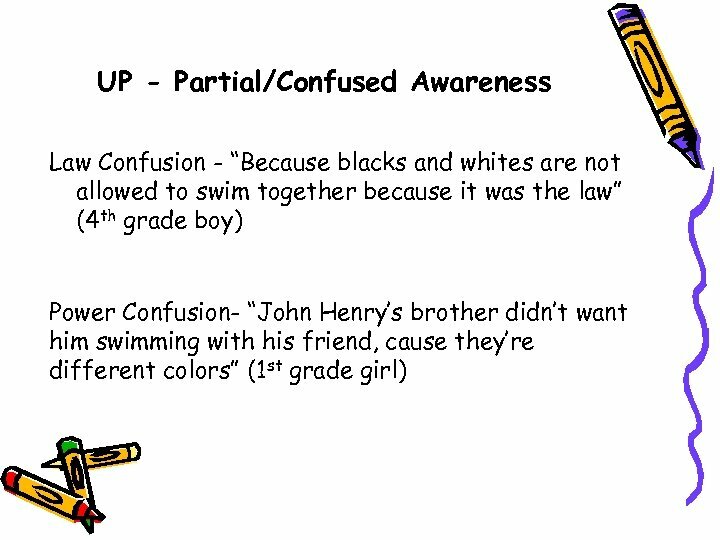 – How are the boys taking a step to overcome discrimination by walking into Mr. Mason’s store together? 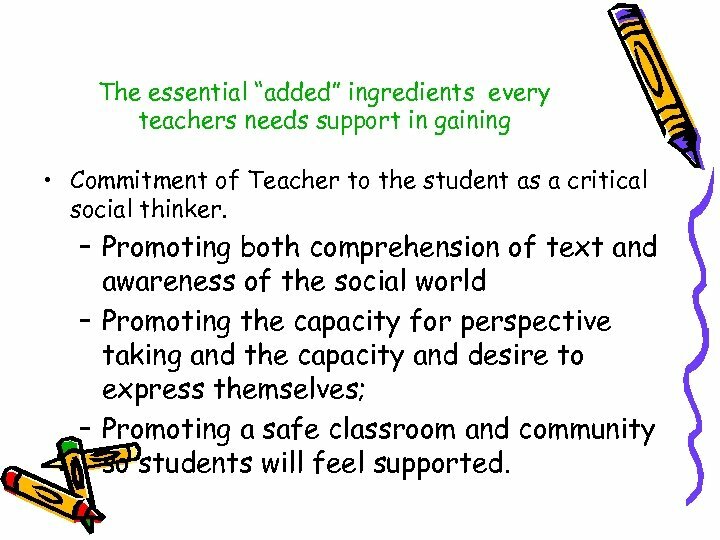 The essential “added” ingredients every teachers needs support in gaining • Commitment of Teacher to the student as a critical social thinker. 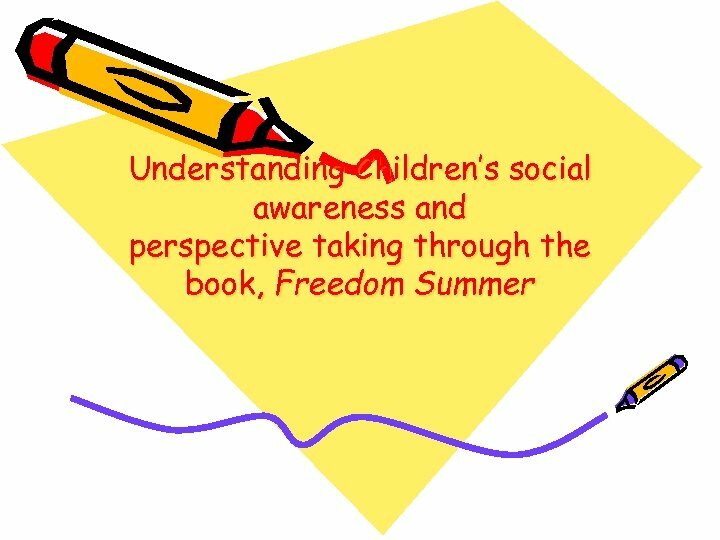 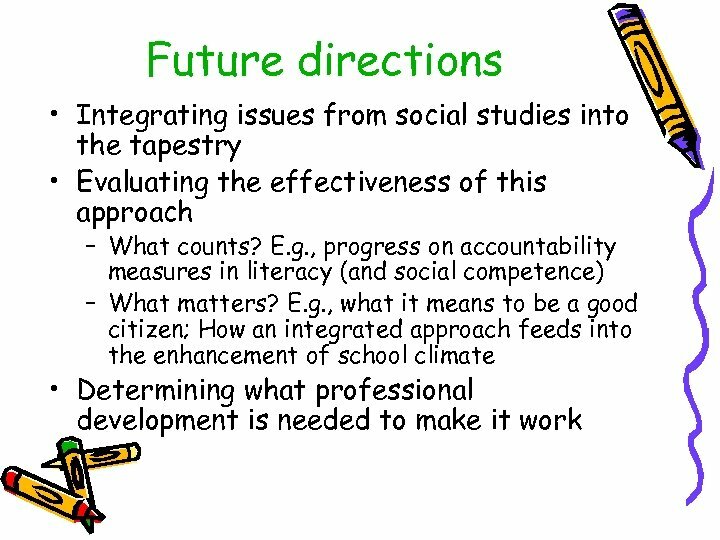 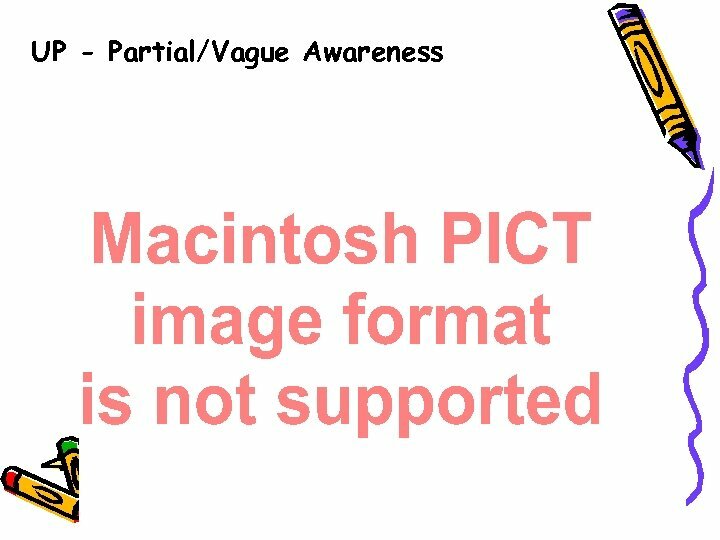 – Promoting both comprehension of text and awareness of the social world – Promoting the capacity for perspective taking and the capacity and desire to express themselves; – Promoting a safe classroom and community so students will feel supported. 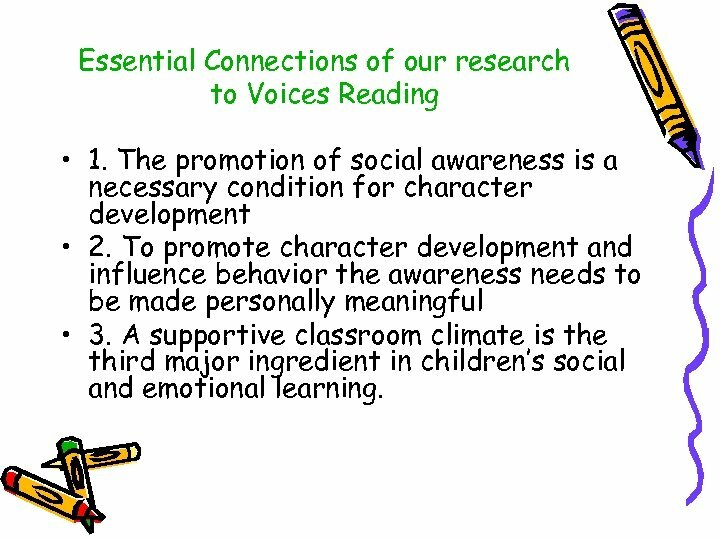 Essential Connections of our research to Voices Reading • 1. 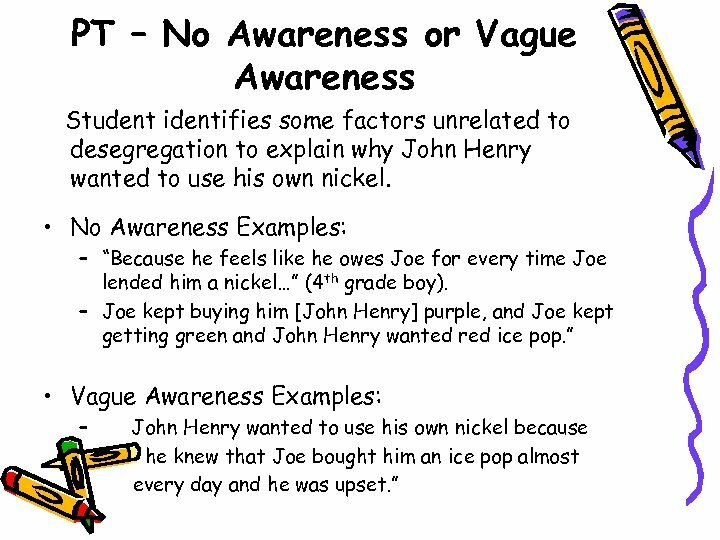 The promotion of social awareness is a necessary condition for character development • 2. 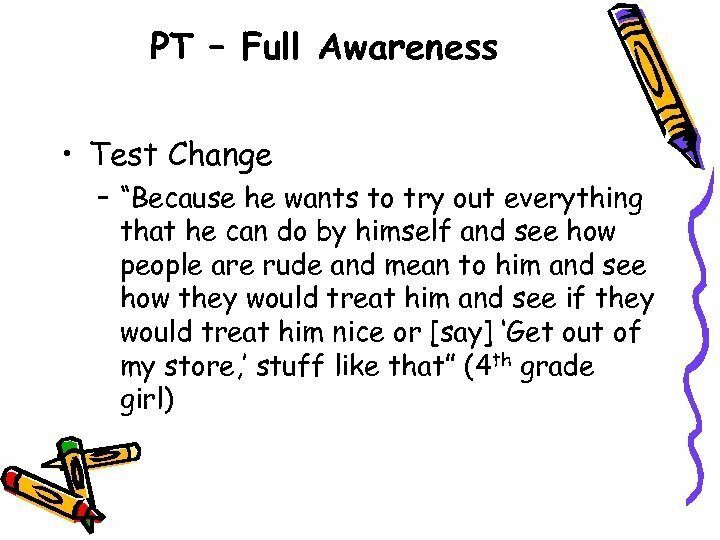 To promote character development and influence behavior the awareness needs to be made personally meaningful • 3. 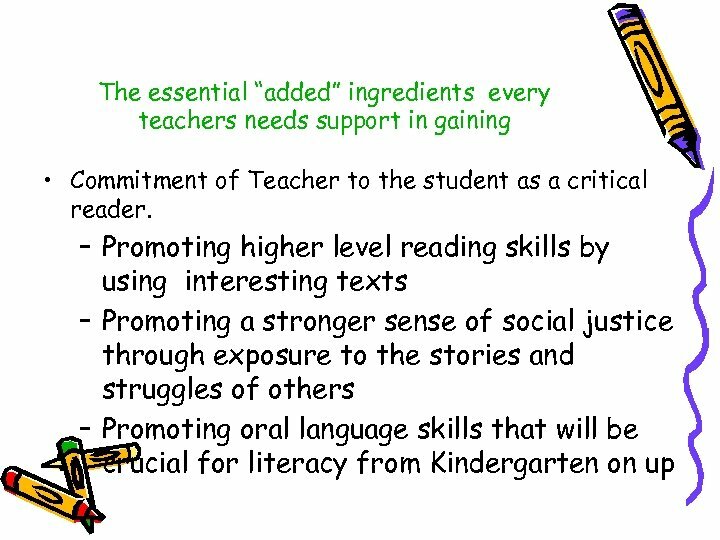 A supportive classroom climate is the third major ingredient in children’s social and emotional learning.